You have recently purchased and installed one of our beautiful mantels, now to decorate it! Here are some great mantel decorating ideas that will last throughout the year. When choosing the perfect decorations for your mantel, the possibilities are limitless! Choose a style that compliments the other décor in your home, but allow your creativity to flow. Select pieces that speak to your family’s interest and incorporate heirlooms as well! If your living space uses very neutral colors, like cream, brown, and maybe a touch of blue, then this idea would be beautiful. Chose a mirror with a large frame for the focal point. Depending on the color of your walls, the frame could be a shade of cream or even blue. Pair this beautiful mirror with several dark wood candlesticks in a variety of heights placed sporadically across you mantel. Complete the look with some old books, or even a small vintage box that has been in your family for years. If you want to use one of Castle Design’s mantels to house your latest family picture, that is a great idea. Select a picture and have it printed on a large square wrap canvas and allow that to be your focal point. Across the top of your mantle, incorporate your last name initial in a bright color that compliments your room. Complete the look with a framed seashell you picked up on your last family vacation and an heirloom clock that you have refinished. The key to decorating on of our beautiful mantels is to allow your family’s personality and interest to speak through the décor. 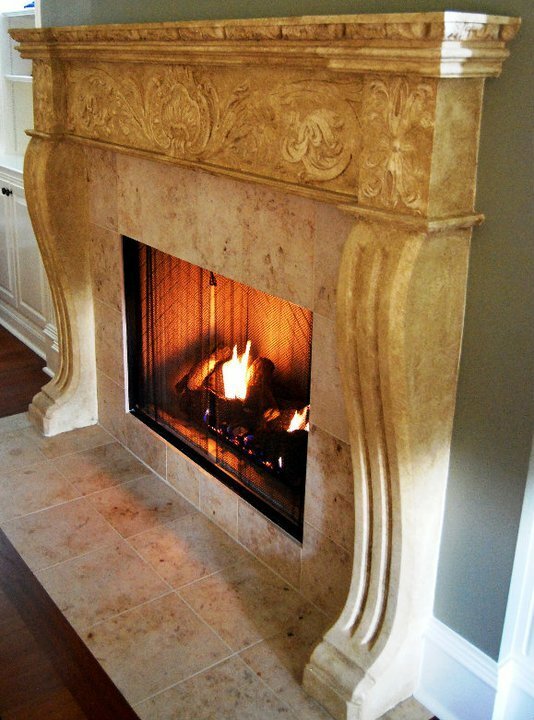 If you have any questions when trying to select one of our mantels, please contact us! We look forward to working with you and create a unique living space in your home.